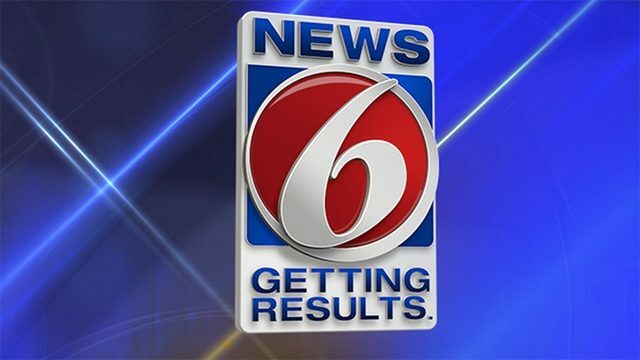 CAPE CANAVERAL, Fla. - Meteorologists who have been anticipating the images and data from a new weather satellite that NASA launched in November and the results are in -- the photos are a dramatic improvement from satellites of the past. The National Oceanic Atmospheric Administration (NOAA) on Monday released the first set of images taken by GOES-16 while it is undergoing in-orbit testing. GOES-16, formerly called GOES-R, before it launched from Cape Canaveral, has a powerful new instrument to study the weather on Earth called the Advanced Baseline Imager or ABI that will provide data and images in real time, as frequently as every 30 seconds. 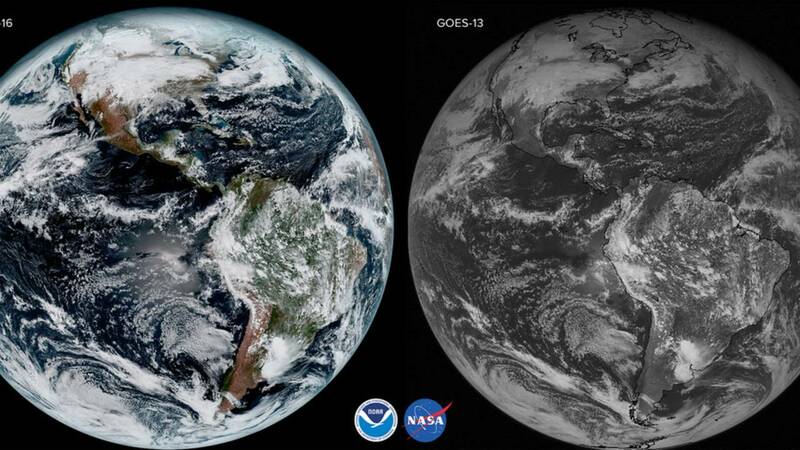 In side-by-side images of Earth taken by the satellite's predecessor, GOES-13, and the new advanced GOES-16, the improved resolution is shocking. The imager captured the moon as the satellite looked across the surface of the Earth on Jan. 15. GOES-16 uses the moon for calibration, according to NOAA. Flexing the satellite's muscles, NOAA released a 16-panel image showing four near-infrared and 10 infrared channel images. The imager will help forecasters distinguish between clouds, water vapor, smoke and volcanic ash. North America and South America were photographed by GOES-16 on Jan. 15. A composite color image was created using several 16 spectral channels on the satellite’s imager. The advanced satellite also includes another upgrade: the first lightning mapper in stationary orbit with Earth. The instrument will allow forecasters to track lighting instantaneously, according to NOAA. NOAA plans to announce in May where GOES-16 will be positioned. While in testing, it currently overlooks the water around the Caribbean up to Florida. Watch the video above to see more images from GOES-16.